On stage at the Digital Summit. 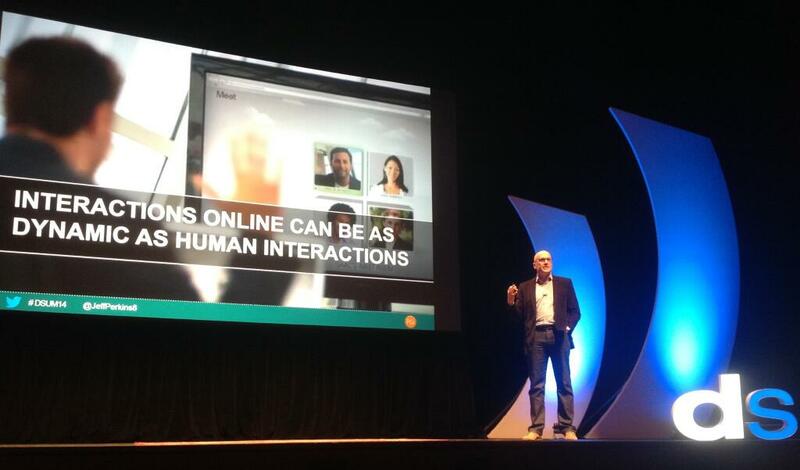 Yesterday, I had the great opportunity to speak at the Digital Summit in Atlanta. I talked about the importance of using video as part of your online marketing program. Research shows that people 80% of people will watch a video online while only 20% will actually read the copy on your site. Additionally, prospects are 64% more likely to buy a product or service after viewing a video. For digital marketers today, video is not an option. It’s a requirement. At PGi, we’ve done about 150 videos in the past 12 months. These videos have helped drive more traffic to our website, increse our lead volume significantly and drive revenue. It was great to showcase our work. If you’re interested, here are the slides from my presentation. ← Evolve or Die: How to Survive and Thrive in the Changing Sales Landscape.